Good dental health is important to your overall health and your quality of life, and at The Practice at Maxwell Place, we want to make sure you can afford it. Whether you need a cosmetic dentistry procedure or a regular dental cleaning, you should be able to pay for the necessary services without experiencing unwarranted financial stress. In order to help you achieve the smile you've always wanted, our Hudson County dental practice offers several options for financing your dental visits. You can arrange the details of your payments with our practice manager, who will be happy to explain your options in greater detail, and help you figure out which plan will work with your budget. Call our offices in Hoboken at 201-792-9400 today to schedule an appointment. We understand that not everyone has the same experience when paying for dental care: some people have insurance that covers all or part of the cost, some people prefer to pay out-of-pocket, and some need to use a credit card or payment plan to spread the costs out over time. At Dr. Frank R. DePaola's dental offices, we offer a variety of options to cover as many patients' financial needs as possible. Patients interested in learning more about CreditCare can visit CreditCare.com to apply for a card today, or they can contact our office to learn more about the benefits that CreditCare offers. Lending Club Patient Solutions - With Lending Club, you can set up a payment plan for your dental procedures that matches your financial status. Pay your whole bill in two years or less with a True No-Interest Plan, or lower your monthly payments with one of their Extended Plans. Speak to our office or visit lendingclub.com/patientsolutions to learn more! Credit Cards - The Practice at Maxwell Place accepts all major credit cards, including Mastercard, Visa, Discover, and American Express. We offer a 3% discount for advance credit card payments. Cash Discount - We also offer a 5% discount for cash payments. The Practice at Maxwell Place is a fee-for-service, out-of-network provider, but depending on your insurance plan, you may still be eligible for reimbursement of some or all of your costs. We can help you file electronic claims with your insurance company, and make sure that the reimbursements go directly to you. Finding the right dentist can be hard, and finding one that you can afford is even harder. 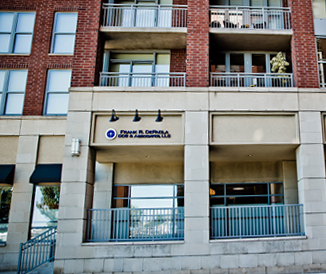 Dr. Frank R. DePaola is committed to providing the best dental care at a price that is right for you. 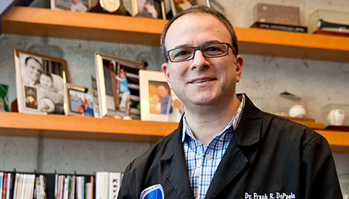 To schedule your appointment with Dr. Frank today, contact us through our website or by calling 201-792-9400. We serve the Jersey City, Hoboken, and Hudson County areas. We require a 24 hour notice for cancellations for no late fee. If there is a cancellation past 24 hours or a no-show, there will be a $95 late fee.